Missing the old classic games and your gaming consoles? No need to worry now, we are writing this tutorial for you only, if you have Raspberry pi lying around you, then get ready to turn it into a gaming machine. Before going further some of you may be confused with what Retrogaming is all about, for those let us clear something, you might have seen people playing mario the popular classic game using older gaming consoles that is something which comes under retro games, Usually retrogaming is based upon systems that are obsolete or discontinued. Here in this post what we are showing “how to turn your Raspberry Pi into an retro gaming machine”, for this we are going to use RetroPie. RetroPie allows you to turn your Raspberry Pi or PC into a retro-gaming machine. It builds upon Raspbian, EmulationStation, RetroArch and many other projects to enable you to play your favourite Arcade, home-console, and classic PC games with the minimum set-up. For power users it also provides a large variety of configuration tools to customise the system as you want. RetroPie sits on top of a full OS, you can install it on an existing Raspbian, or start with the RetroPie image and add additional software later. It’s up to you. 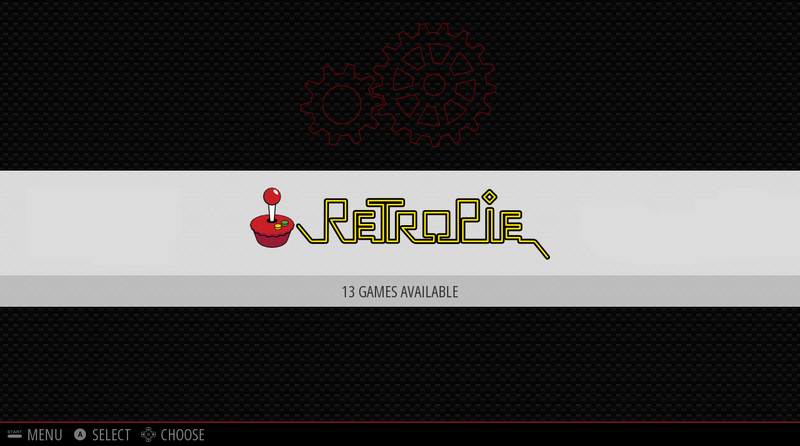 You can follow our RetroPie Installation guide to install the RetroPie on an exsiting Raspbian or If you had bought our Raspberry Pi Gaming Kit, you can refer this blog to setup your RetroPie and Configure the Gamepad we provided. Now once you are ready with the mentioned hardware, its time to setup your SD card with RetroPie, for this you need to download RetroPie OS. There are currently two versions of RetroPie. There is one version for Raspberry Pi 0/1 (Model A, A+, B, B+) and there is a version for Raspberry Pi 2/3. The above mentioned things can be confirmed after you install the RetroPie on your Raspberry pi. If you get the error Illegal Instruction when it boots, you picked the wrong SD image. Once you have downloaded your SD card image you need to extract it using a program such as winrar or 7-Zip. You will extract the downloaded .gz file and the extracted file will be a .img file. Refer this guide to see how to install using Win32DiskImager. 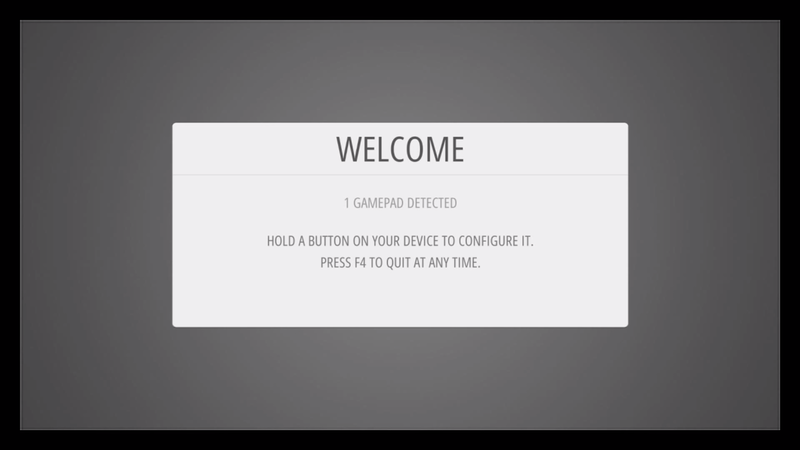 Here you are able to configure your gamepad and keyboard key function, all you need to do is follow the onscreen command, the above shown screen will come during the first time setup only, otherwise, the system will boot retroPie EmulationStation( refer the image shown below), the configuration can be done at anytime as well, which is available in retroPie menu -> Input options. Due to the nature/complexity of Copyright/Intellectual Property Rights Law, which differs significantly from Country to Country, ROMs cannot be provided with RetroPie and must be provided by the user. You should only have ROMs of games that you own. Connect you Raspberry pi to network, connect ethernet cable to your pi for a wired network or you can use built in wifi for the Raspberry pi 3 or use wifi dongle for older Raspberry pi. To connect your Raspberry pi with wifi, you need to boot the Raspberry Pi(except Raspberry pi 3) without the WiFi adapter plugged in. All you need to do is replace the ssid and password of your network and save the file and you will be connected to wifi automatically once you reboot the system. The other way to connect is to use the RetroPie EmulationStation itself, once you open the RetroPie you will see the option for wifi, all you need to do is enter the credentials. Once connected note down the IP address of the System, you can find it in the same page where you find the Wifi option in the EmulationStation. Once you are logged in successfully, you can see two windows, one window as your computer files explorer and the second window is of RetroPie files explorer, you just need to upload the files from your computer to the RetroPie -> ROM -> Emulator(for the Respective ROM you having) directory. Refer the sample video below for the demonstration we did to transfer one configuration file from windows system to other System. For initial test open the Atari2600 Emulator and there you can see a list of games, download anyone game as per your interest. Copy the file from your computer desktop to the Atari2600 Folder. Now all you need to do is disconnect the WinSCP and restart your RetroPie and you are ready to play your game. Before playing make sure, you had configured your gamepad/Keyboard, for reference check this installation guide and check out the key Maps for the gamepad. Hope you had enjoyed this tutorial, we love to hear from you. Stay tuned for our brand new RetroPie Starter Kit for Raspberry Pi, which will be launched soon.